The Financial Systemic Risk project brought together 5 internationally known researchers to address foundational issues that must be resolved before we can fully understand what makes a resilient financial network. How can stability be measured and managed? How should banks be regulated, and what sticks and carrots should be used to influence their behaviour? How do changes in the system structure, for example, centralised clearing or major bank mergers, impact stability? How does failure in one channel or market spill over into other channels? Can the system design be made more resilient by adopting measures in analogy with other designed systems, such as redundancy or the introduction of "traffic calming'' devices like speed bumps, speed limits and guard rails? 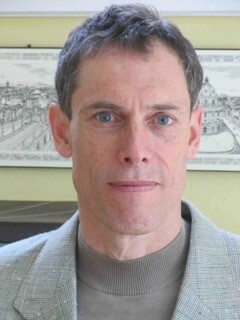 Thomas Hurd is a Professor of Mathematics at the McMaster University. His original research was in mathematical physics, but for the last 15 years he has focused on mathematical finance. Hurd is the founder of Phiman, the financial mathematics laboratory at McMaster, and the co-founder and current Director of M-Phimac, a course-based M.Sc. program in financial mathematics. Hurd is also the Chair of the Quantitative Finance Seminar Series at the Fields Institute in Toronto. Hurd holds a B.Sc. from Queen’s University and a Ph.D. from Oxford.